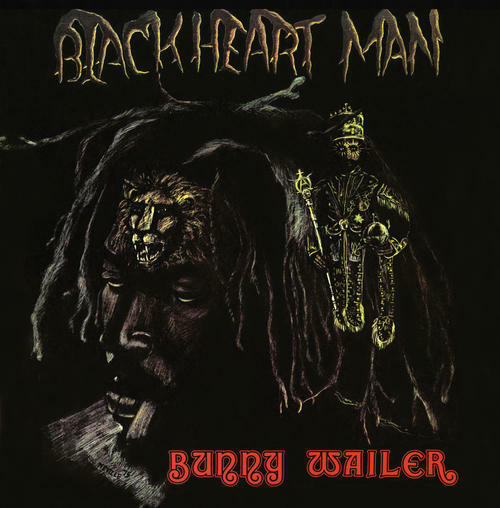 "Blackheart Man" is the solo debut album by Bunny Wailer originally released in 1976. This Roots Reggae classic is one of the finest albums of the era and showed that Bunny was a visionary singer/songwriter as he embarked on his solo career. 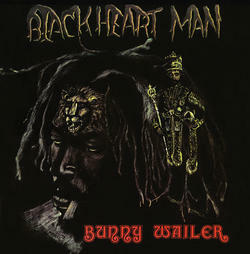 The 10 songs of "Blackheart Man" are brimming with spirituality and protest, wonderful performances, and a more laid back, meditative style than his former band mates Peter Tosh and Bob Marley. Bunny is backed by a who's who of Reggae musicians of the time including Carlton "Carly" Barrett, Aston "Family Man" Barrett, Robbie Shakespeare, Peter Tosh, Earl "Chinna" Smith, Tommy McCook, Tyrone Downie and Bob Marley. In a gatefold sleeve with lyrics and on red, green and yellow swirl vinyl. Record stampers produced by Record Technology, Inc. Camarillo California, USA.